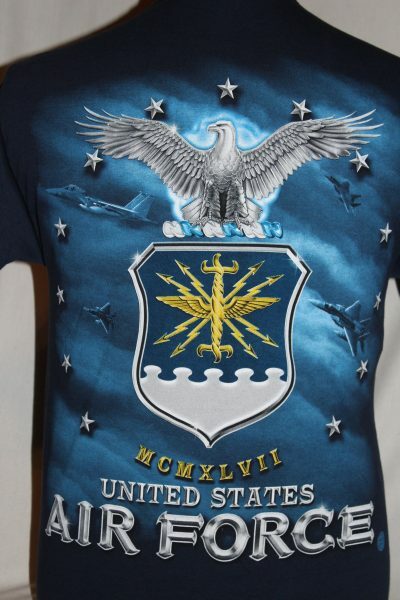 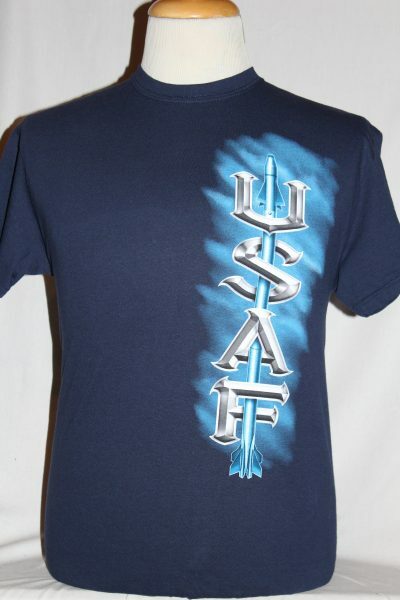 The USAF Missile T-Shirt is a two sided print in blue. 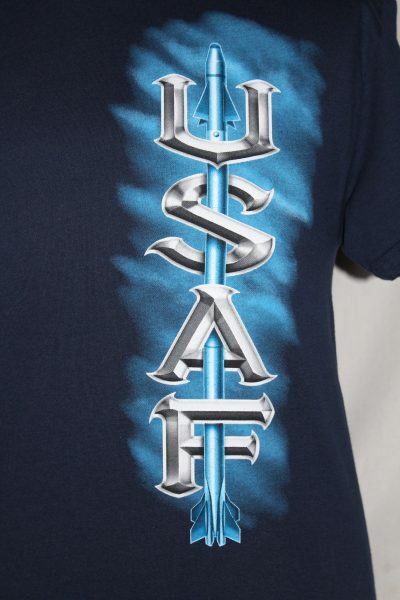 Front Design: Elongated USAF letters with Missile printed on a faded background. 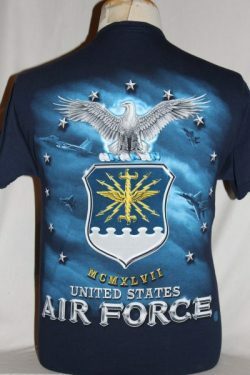 Back Design: Eagle with USAF symbol and text superimposed on a faded background.